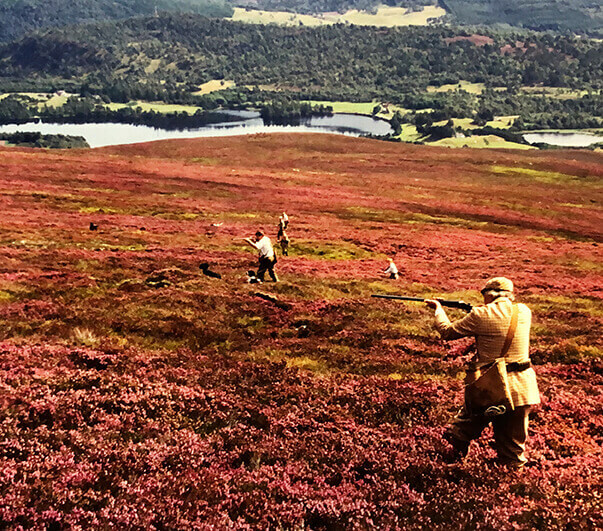 Hunting Scotland is your leading source of bespoke hunting trips throughout Scotland, meaning that if you want to experience rough shooting or hunting in Scotland you are able to do so while enjoying the magnificent local countryside. 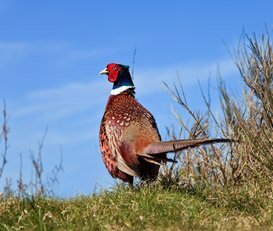 We offer a comprehensive service that coordinates all of your arrangements for hunting and shooting in Scotland, ensuring maximum success and enjoyment of your stay with us; and we are proud to tell our guests that we are one of the premier companies for rough shooting in Scotland! 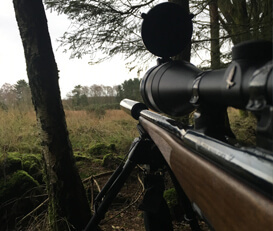 When it comes to hunting in Scotland, we are dedicated to our clients & work hard to ensure everything goes smoothly from your arrival through to departure. I look forward to personally welcoming you to Scotland & showing you the very best sport & hospitality anywhere in the world! Who’s got the best shot? Clay Pigeon Shooting is a great idea for a corporate outing, team building excercise or a Stag & Hen Party! We cater for all skill levels and abilities, and assure you will have a fun day out at our base in Stirling. 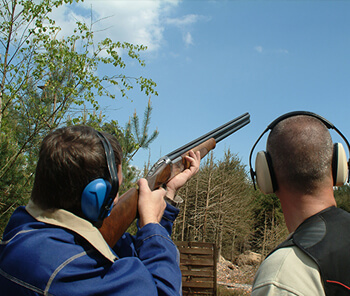 Clay Pigeon Shooting Clay Pigeon shooting offers some of the most varied hunting experiences available. 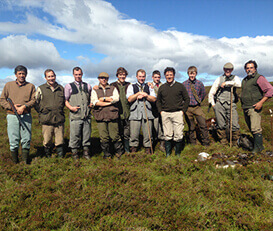 Goose & Duck Grouse shooting in Scotland takes place on carefully tended grouse moors. Woodcock One of the most challenging activities, best enjoyed by experienced hunters. 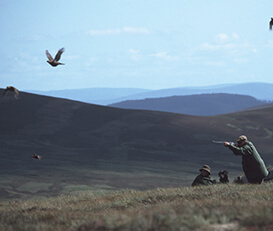 Rough Shooting Rough shooting is thought to be true game hunting & comes in many forms. 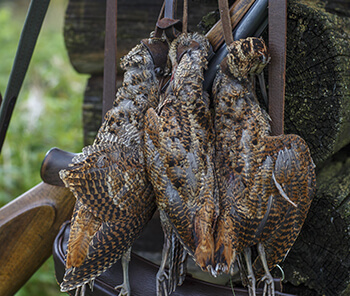 Driven Shooting Pheasant & Partridge hunting in is mainly carried out as driven hunting. 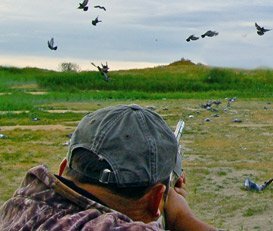 Game Shooting Packages This style of hunting sharpens up your skill as a marksman. 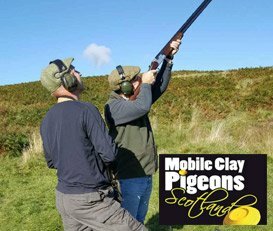 Pigeon Shooting Pigeon shooting in Scotland normally takes place on Scottish farmland. Simulated Clay Shooting Simulated clay game shooting - best practice you will ever have. 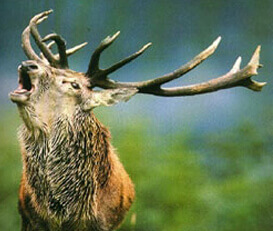 Stag & Hen Packages Providing for the more adventurous Stag or Hen groups in Scotland. Simulated Stalking Simulated Stalking- best practice you will ever have. Stalking Packages provide access to accompanied Roe, Red, Sika and Fallow deer stalking. A hunting trip might be the primary focus of your break in the Highlands, but accommodation in Scotland is also an integral part of your experience. A wide and varied choice of accommodation is available through Hunting Scotland, with a range of requirements being covered depending on the base camp that is needed for your hunting trip. We would like to thank you for our recent goose and pigeon flight day in the North East of Scotland. 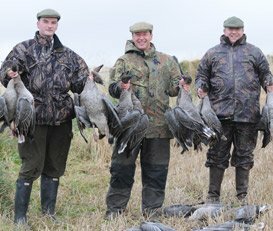 We had a full day shooting for all our members , with the geese coming down to your decoys in the morning, followed by lunch, before setting off to flight the wood pigeons in the afternoon. We will need to restock our cartridges for our next trip with you. Really appreciate all your efforts with this organising. Our recent trip to Angus area for the wood pigeon decoying was organised very well. Whilst we do fully understand that we are dealing with wild birds on these trips and our bag was modest (and the way it should really) perhaps our shooting could have been a lot better and for sure contributed to this however all went magnificently well. We have had many days in East Anglia shooting pigeons however to attend a day with our close Scottish relatives joining us in the field made the day and our holiday even more enjoyable. We would recommend the day to all pigeon shooters. We will return next September again for sure. 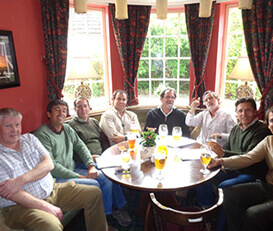 Hunting Scotland have arranged my annual pheasant and partridge shooting party for the last few years. 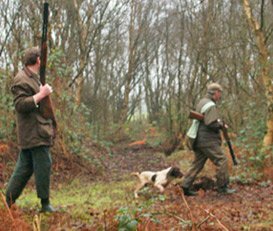 Bill Black is expert at identifying great shooting opportunities and then making all the arrangements on behalf a busy client! We shoot every year in Aberdeenshire and Bill sorts out everything from bookings, beds and the bag! I would have every confidence is recommending Bill and Hunting Scotland to source and organise a great shooting trip in Scotland. 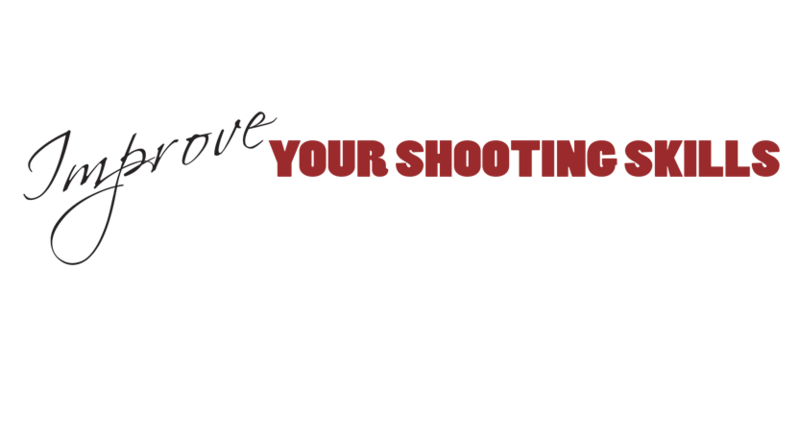 It’s how you use your practice time that counts, training on the types of angles and shots you are likely to come across during the shooting season. Please do not hesitate to contact us if you require any further information regarding our facilities and services. We are also a provider for Game Fishing around the World in Costa Rica, Cabo San Lucas, Kenya & Venezuela. As with Hunting Scotland, at Big Game Fishing we are dedicated to our clients, and we work tirelessly to ensure everything goes smoothly from your arrival through to departure. © 2018 Copyright Hunting Scotland, Stirling, Scotland. All rights reserved.